GT continues their retro re-up series with a modern take on one of the first “jumping-specific” frames of the 90’s, the Fueler. 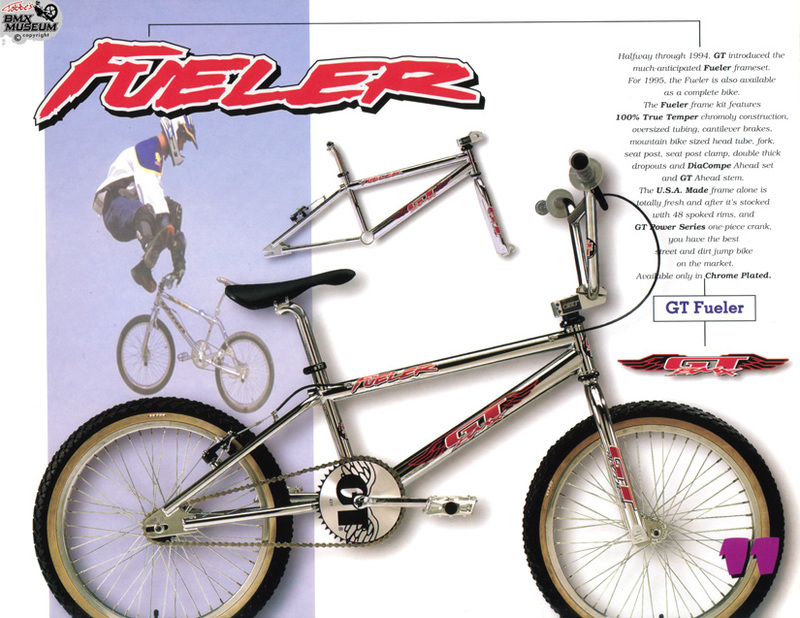 Yes, you read that right – the Fueler was not marketed as a “trails” frame, as the “trails” of the 80’s and 90’s are not the sculpted, monstrous masterpieces that they are today, and box jump contests and one/two jump huckfests were far more commonplace back then. 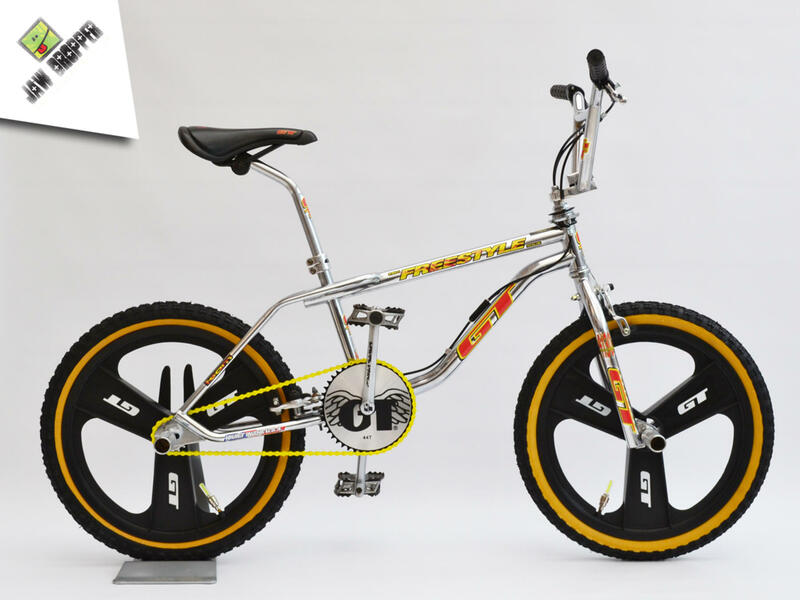 The original Fueler filled the niche that GT’s race frames and freestyle bikes like the Tour (and Dyno Slammer) couldn’t quite handle, beefing up the tubeset of their 4130 race frame to better handle the bigger gaps and rougher landings that jumpers were beginning to tackle. 23 years after the first Fueler appeared, GT has brought the frame back into the public eye, updating the specs for the modern rider that wants that retro look. I don’t think GT could’ve picked a better product designer than Ben Ward to handle these new retro pieces, as Ben has had his hand in the design of countless modern parts from many brands you know & love, combining his knowledge of the past with the ability to create products that so many of us have ridden, or are currently riding right now. The modern Fueler frame takes its styling cues from the original 1994 model, featuring chrome plating & the original winged GT logo on the downtube. The 4130 frame is built with larger diameter tubes, with a 1.5″ downtube and oversized rear stays, topped off with CNC’d rear dropouts with integrated chain tensioners. The rear end has been shortened up quite a bit (13.5″-13.875″) to meet modern standards, while the V-brakes have been replaced with removable chainstay mounts. Moving to the front end, the 5″ long headtube is additionally strengthened by dual gussets, creating a stiff junction that should remove any doubt of this frames strength. 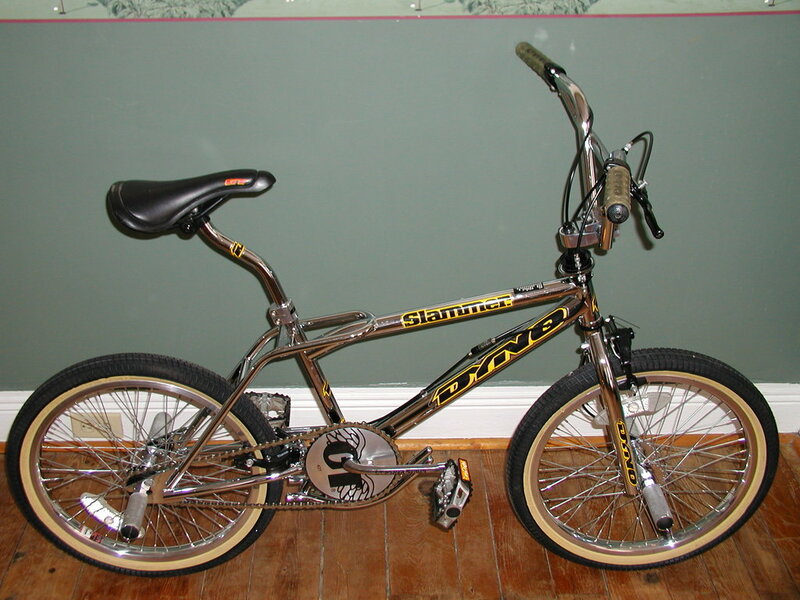 The 21.25″ top tube is aided by a 72.5 degree seat tube, which puts the seat at a more pinchable position (yes, this is how barspins were first done) and also creating a little more room in the cockpit area. The GT Fueler jumping/trails frame is available now at all GT retailers for $349.99. I think this might be my new favorite GT retro piece yet, so grab this while you still can, as I feel like these will move fast once people see them in real life. For more on GT’s BMX revival, check out their website and be sure to follow the team on Instagram @gtbmxfreestyle.